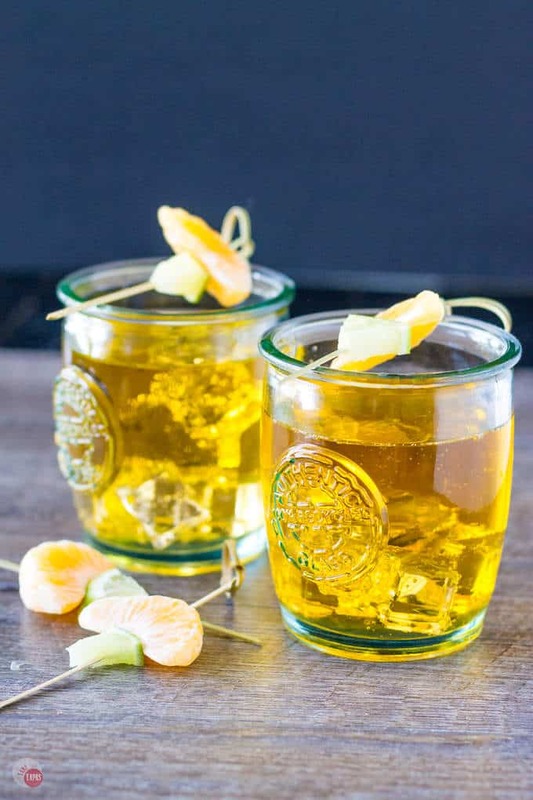 Home » Satsuma Orange Jubilee Cocktail – Only 3 Ingredients! Satsuma Orange Jubilee Cocktail – Only 3 Ingredients! 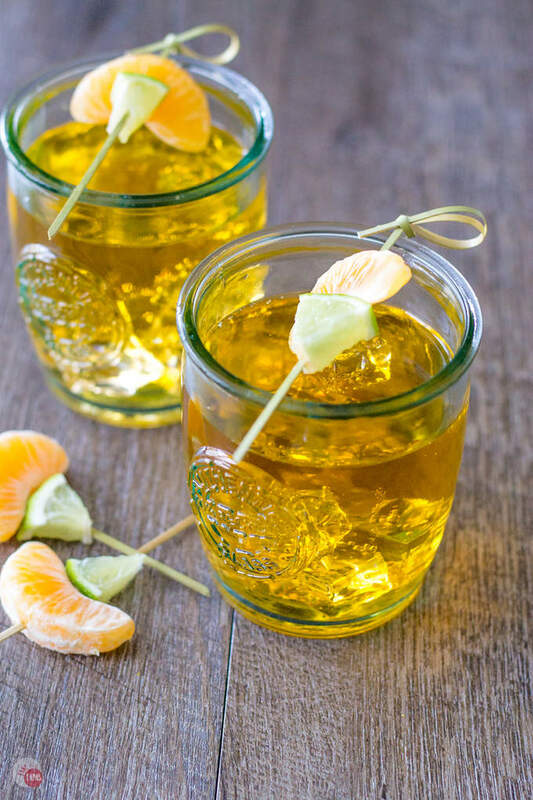 This simple Satsuma Orange Jubilee Cocktail has only 3 ingredients but packs a flavorful punch! Satsuma Liqueur, Lemon-lime Soda, and fresh lime are it! I’m starting off my first summer as an official Arizona resident. While I’m still trying to complete all my change of addresses on my mail (a ton of magazines) there are a few random small boxes lying around. No need to unpack the Christmas decorations just yet. I think I will celebrate being 99% done with a simple yet tasty 3 ingredient cocktail. My Satsuma Orange Jubilee! After all the stress of moving, I need something simple. Other than a shot that contains just one ingredient, I like simple cocktails that highlight the spirits and the mixers. 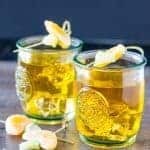 The liquor is already tasting pretty darn good, so why mess it up with a bunch of complicated garnishes or additives that you can’t find unless you special order from a craft cocktail place. I have a bottle of bitters but have yet to use them. FYI, I didn’t buy it, it was a gift. Sorry to the person that gave it to me if you are reading this. I just started taking hot yoga classes this week too. After doing CrossFit for two years, my body needs a little rest and some stretching because I have been so tense in my hips and in my neck. Time to center my body and mind and let go of all the unnecessary things that have been weighing me down. Like extra crap in my drinks! My Orange Jubilee is free of extra crap but full of flavor. 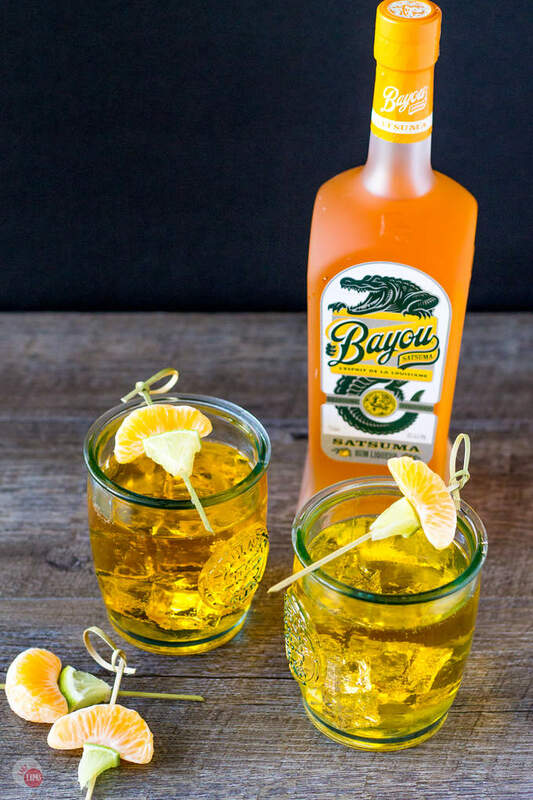 It starts with my new favorite liqueur, Satsuma Rum Liqueur from Bayou Rum. I found it while perusing my local spirit store (you know, window shopping) and even though I don’t like orange-flavored things, I bought a bottle. After I brought it home and tried it, putting it down was not an option. It is so delicious and just like tasting a fresh Satsuma orange! I make my Orange Shandy with it too! I have a feeling this might be the summer of beer as well because I have been drinking quite a few of them poolside. Beer is not complicated and it is so easy to pop the top off a bottle and add a lime wedge. Talk about a simple cocktail. Enough about the beer and back to the Satsuma Orange Jubilee. And kind of upset that there isn’t a lime emoji. Why does the lemon get all the recognition? To enhance the flavor of the Satsuma Liqueur, I added a carbonated lemon-lime soda. I’m not going to get into a soda debate as to which one if the best, just pick which one you prefer. To bring out the flavor of the Satsuma Liqueur, even more, I add a carbonated lemon-lime soda. I’m not going to get into a soda debate as to which one if the best, just go with the one you prefer. The bubbles in the soda pop and release even more of the Satsuma orange flavor as you sip it. As the orange flavor mixes with the lemon and the lime, it’s like a citrus party in your mouth. And your nose! A simple garnish of an orange segment and a lime wedge or slice is all you need for the Satsuma Orange Jubilee. A simple (3-ingredient) cocktail deserves a simple garnish. No fuss, and nothing unnecessary. Like my life right now. 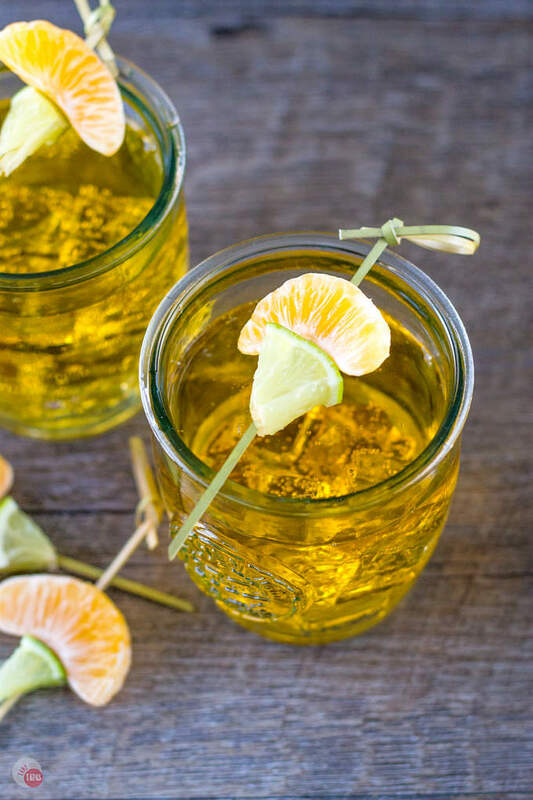 A few 3-ingredient cocktails like this Satsuma Orange Jubilee can help you simplify your life too! 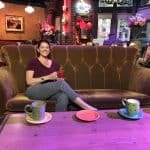 Sign up for my weekly newsletter (Small Bites – Big News) so you can get the recipes right in your inbox just in time for happy hour! Mix the Satsuma Orange Liqueur and the lemon-lime soda. Divide between two glasses and pour over ice. Stir to combine. Do not Shake because of the carbonation. Garnish with a lime wedge and an orange segment. Follow me on Pinterest where I pin cocktails from the blog and my friend’s blogs too! Wow, it looks amazing. I have never tried it, but it’s so easy to prepare I will make one as soon as possible! Thanks.